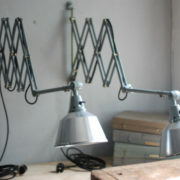 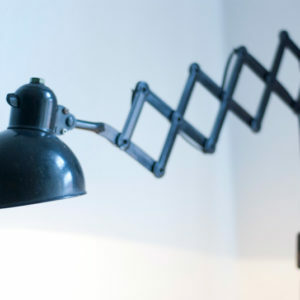 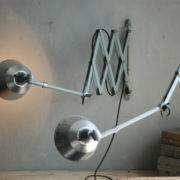 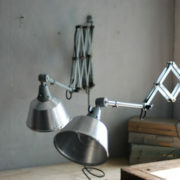 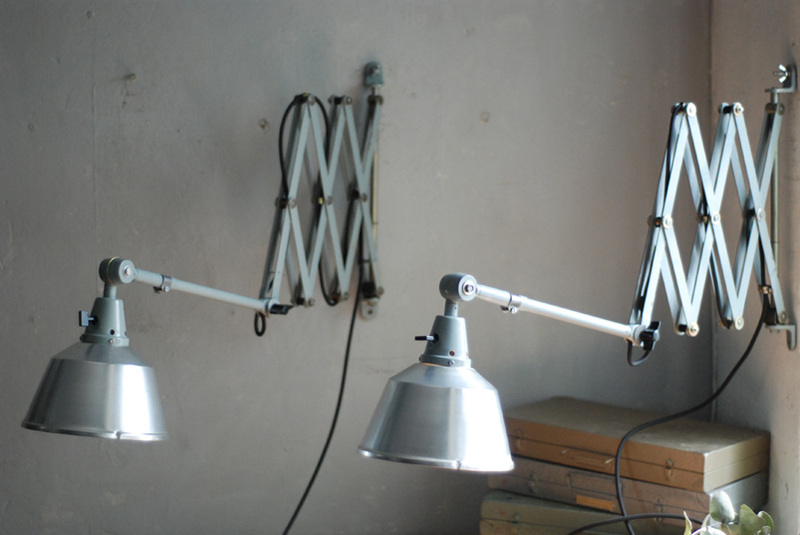 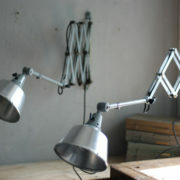 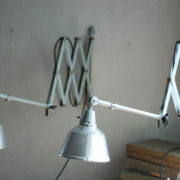 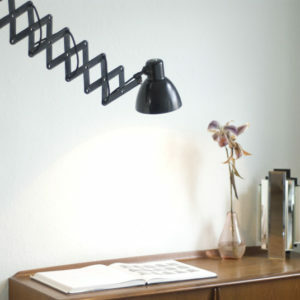 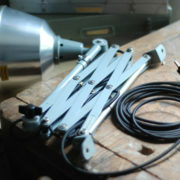 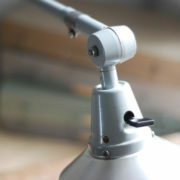 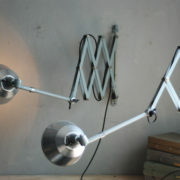 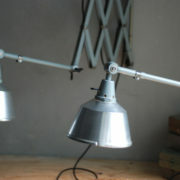 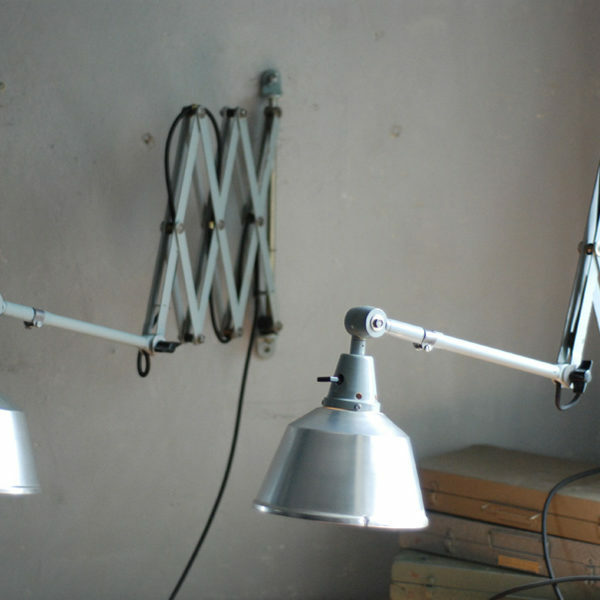 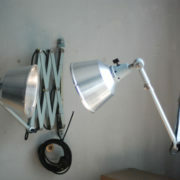 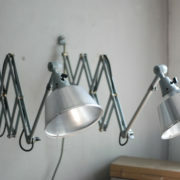 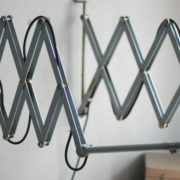 Pair of Midgard big scissor lamps with genuine paint in nice condition. 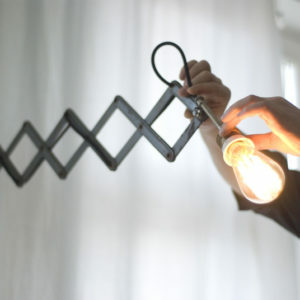 of all elements, the lamp were rebuilt again. 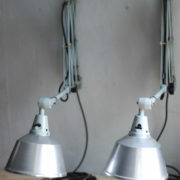 The lamps are in a used nice condition. 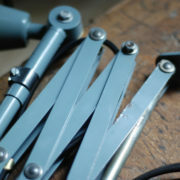 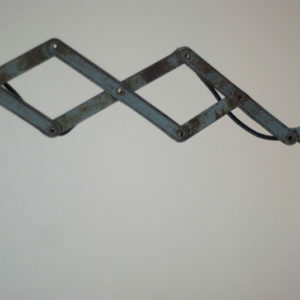 The scissors have the original paint and only few losses of paint. 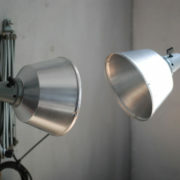 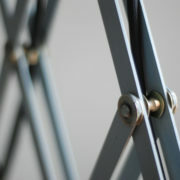 The shades made of aluminium are in a perfect condition. 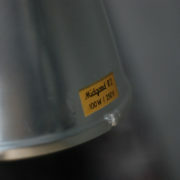 The lamps are marked with ‘Midgard’ on the shade. 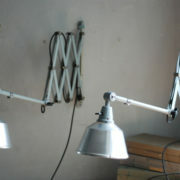 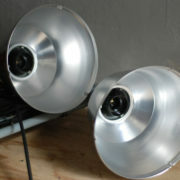 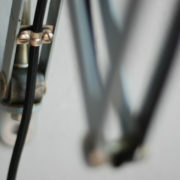 The lights are operated clockwise by a rotary switch located on the lamp socket.